Seoul abounds each summer in exhibitions of work by Western art masters, which often become crowded with not only the usual art lovers but families with children visiting museums and galleries as part of school assignments. This year, key figures of 20th century are highlights of the city’s art calendar. Starting with the ongoing show of Frida Kahlo and Diego Rivera at the Seoul Arts Center, big names that represent major 20th art movements such as Salvador Dali, Marc Chagall, Bernard Buffet and Joan Miro will be featured in the upcoming exhibition at the Seoul Arts Center and the Sejong Art Center. The exhibition of the two most acclaimed Mexican artists brings together major paintings of the couple, spanning their entire artistic careers, including those created during their tumultuous marriage to each other. The ongoing show at the Hangaram Design Museum at the Seoul Arts Center highlights Kahlo and Rivera as individual artists with different artistic styles and inspirations in separate sections dedicated to each artist. Their oeuvres unfold in a chronological order, with some of their best-known works and photographs on loan from Museo Dolores Olmedo leading the way. 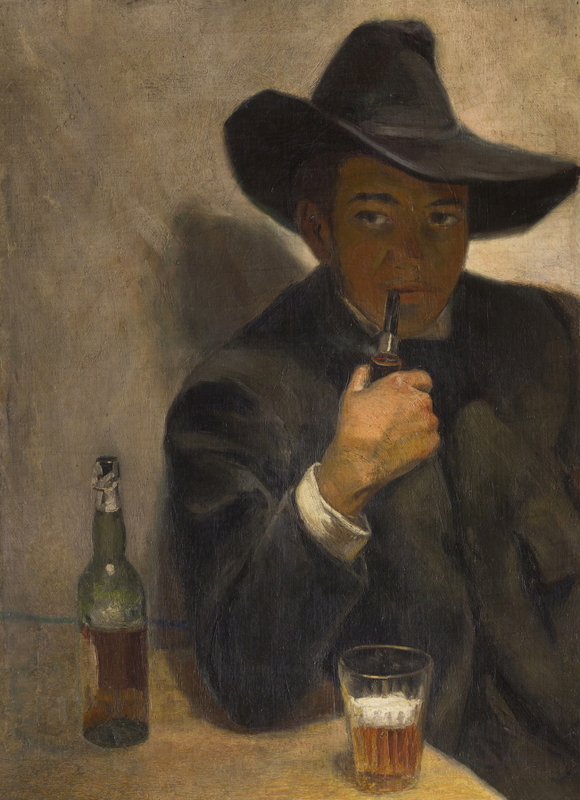 The exhibition, featuring 60 paintings and 90 photographs, opens with paintings of Rivera, one of the most beloved Mexican artists whose works reflect the working class and the native peoples of his home country. 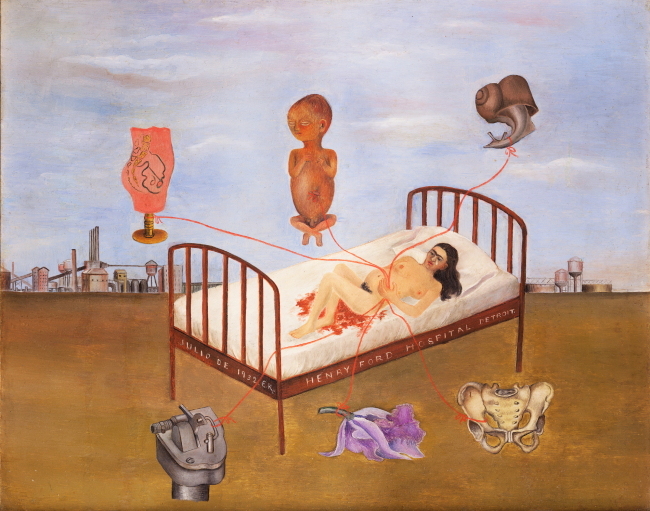 Although Rivera is well-known today as the husband of Frida Kahlo, during his time, he was one of the most beloved artists for many Mexicans and, in fact, better known than Kahlo. Kahlo was Rivera’s third wife, and he would go on to marry two more times. While Diego concentrated on portraying the ordinary lives of Mexicans, Kahlo’s paintings reveal her inner emotions and state of mind during her tumultuous marriage to Diego and declining health. Frida contracted polio at the age of 6, and sustained severe injuries in a car crash at the age of 18 that left her in excruciating pain throughout her life. The emotional and physical pain that Kahlo suffered are on full display in roughly 30 works by the artist at the exhibition. 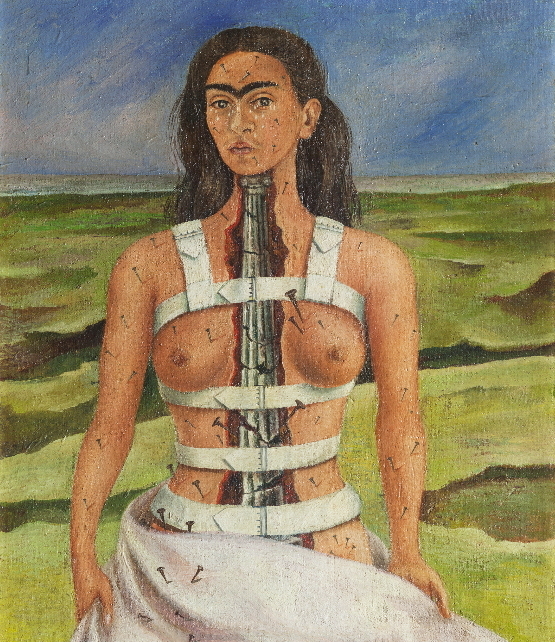 Beginning with a self-portrait and the portrait of her ex-boyfriend Alejandro Gomez Arias, who was on the bus with Kahlo at the time of the accident, the exhibition leads viewers into Kahlo’s painful memories. The 1935 painting “A Few Small Nips” depicts a report about a man who stabbed his girlfriend to death that Kahlo had read in a newspaper. It was painted shortly after an affair between Rivera and her sister Christina – one of several affairs Rivera had during their marriage. For a more dramatic effect, Kahlo spattered drops of red paint on the wooden frame. The exhibition runs until Aug. 28. Tickets range from 6,000 won to 15,000 won. For more information, visit www.sac.or.kr. 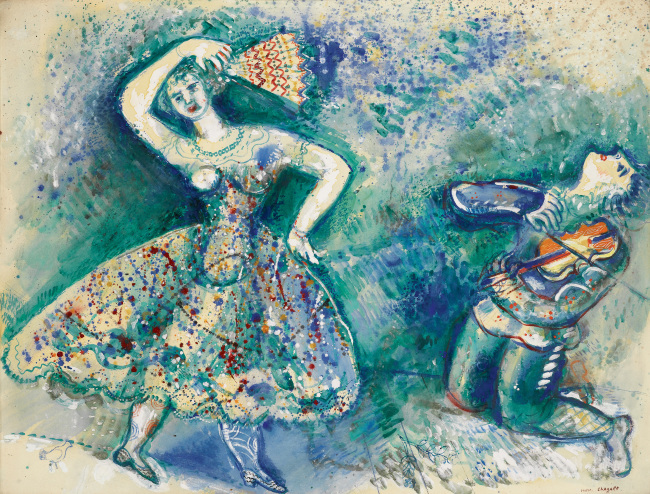 Another exhibition at the Hangaram Museum of the Seoul Arts Center highlights three leading figures of the 20th century European art -- Marc Chagall, Salvador Dali and Bernard Buffet -- from June 25 to Sept. 25. The comprehensive exhibition features some 120 works by the three masters, who were at the forefront of emerging artistic movements of the 20th century, such as modernism, cubism, surrealism and expressionism. The works are being brought here by Opera Gallery, an international gallery chain headquartered in Paris, that boasts a strong collection of 20th-century masterpieces. Russian-French artist Chagall, born a Russian Jew, moved to different places to flee World War I and later Nazi oppression. But when he painted, he recalled his memories from his childhood in Liozna in present day Belarus. His paintings feature motifs from his childhood such as rural landscapes, livestock, brides, lovers and the town’s ordinary people. 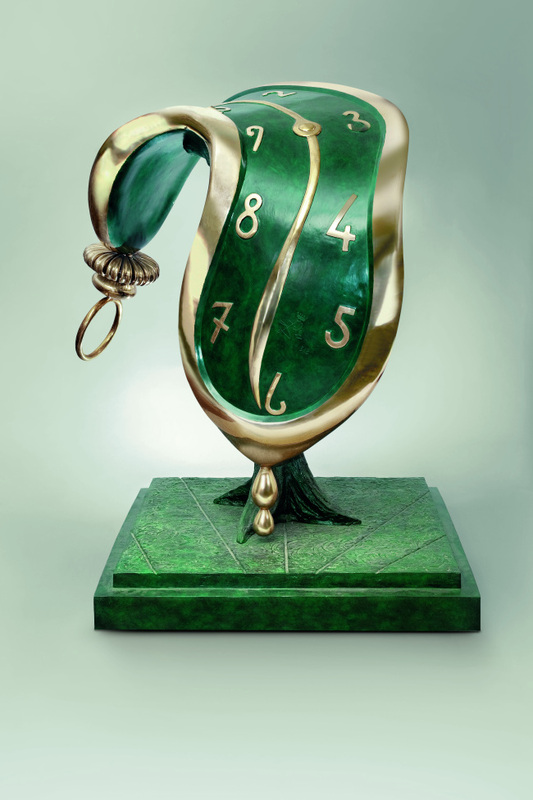 Dali, perhaps best known for his 1931 painting “The Persistence of Memory” featuring “melting clocks” in a landscape setting, was a key figure in surrealism who applied Sigmund Freud’s psychoanalytic theories to his paintings. Later, Dali expanded his artistic work into filmmaking and advertising, including designing the logo of Chupa Chups lollipops in 1969. The depression and desolation that prevailed after World War II are captured in Bernard Buffet’s paintings marked with sad images and limited colors. Despite having enjoyed early success as an artist, Buffet isolated himself from the public and the emerging movement of abstract art in his later years. In 1999, Buffet took his own life after having suffered from Parkinson’s disease for many years. Tickets range from 9,000 won to 13,000 won. For more information, visit www.sac.or.kr. 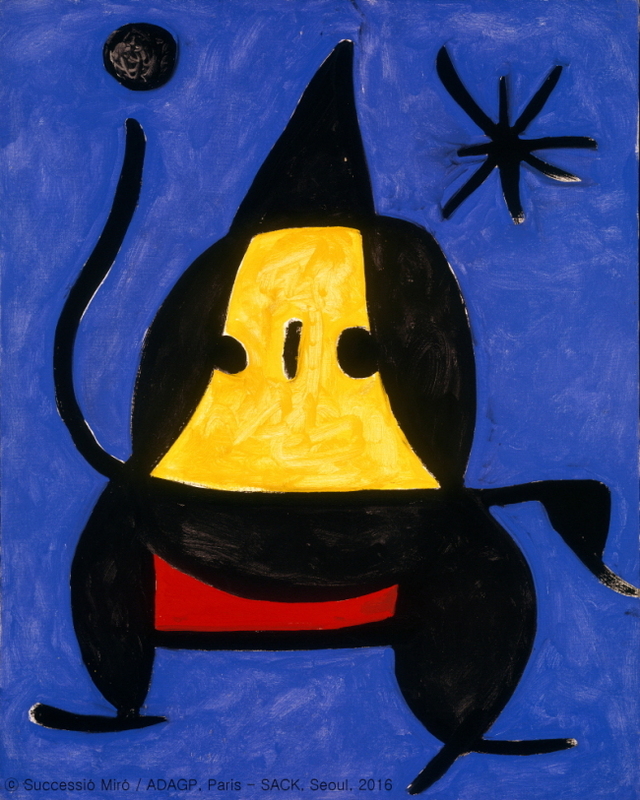 Sejong Center presents a total of 264 works of Spanish artist Joan Miro (1893-1983), the largest number of artworks ever brought here by the Pilar and Joan Miro Foundation. The exhibition, which offers a chronological guide to Miro’s life, includes some 70 oil paintings, 30 drawings, seven sculptures, collage works and illustrations and some incomplete works. They offer a glimpse of Miro’s sources of inspiration in elements of nature and architecture and his wide-ranging artistic endeavors. The exhibition runs from June 26 to Sept. 24. Tickets range from 8,000 won to 15,000 won. For more information, visit www.mirokorea.co.kr.